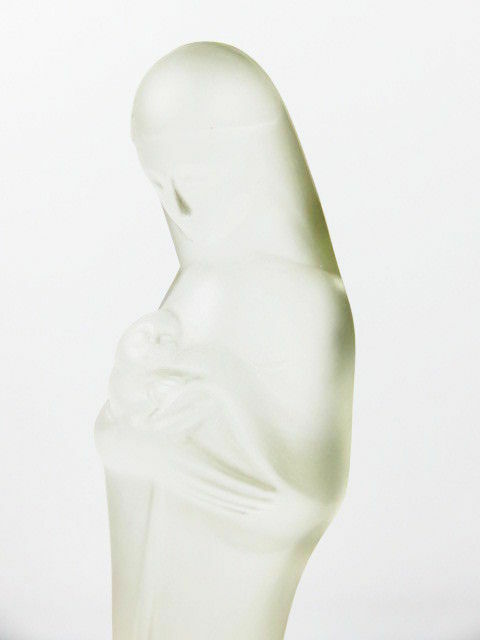 Very beautiful sculpture of Mary from the 1920s. 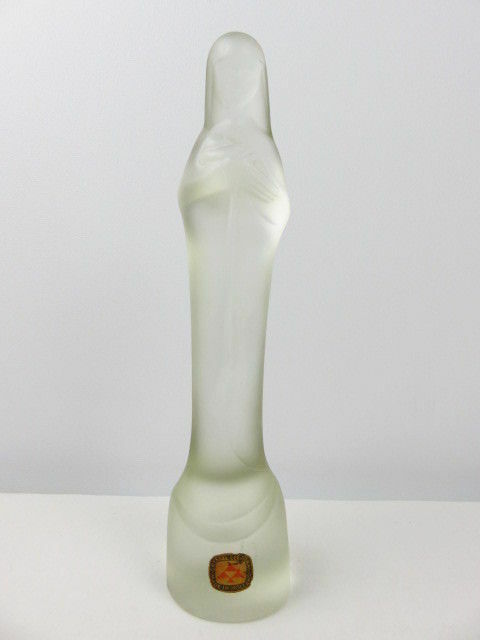 It was made of satin glass by Stef Uiterwaal (1889-1960) for Crystal Leerdam, Holland/Holland. This is a real collector’s item! 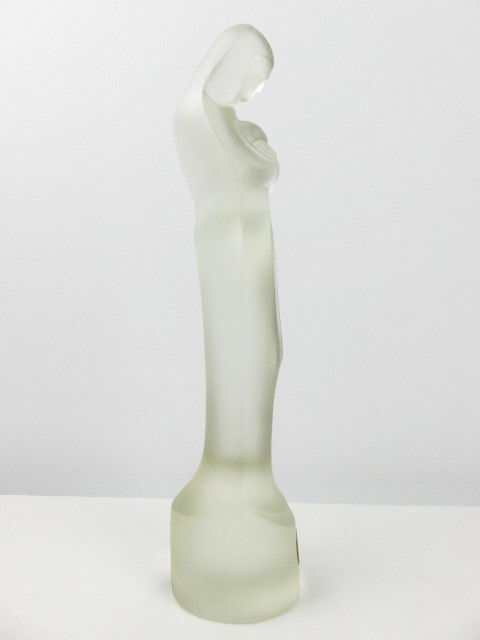 The entire figurine is 24 cm long. 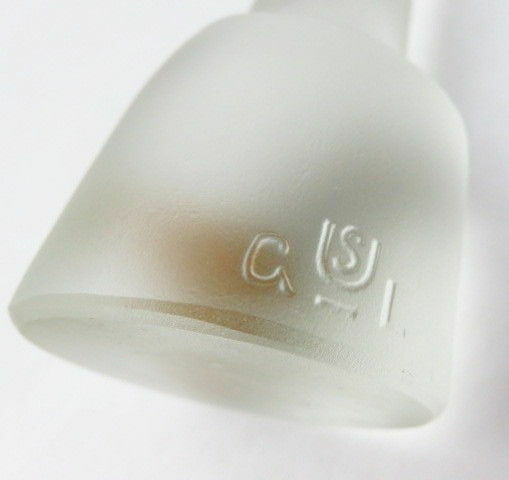 The base has a diameter of 5 cm. It weighs 600 grams. 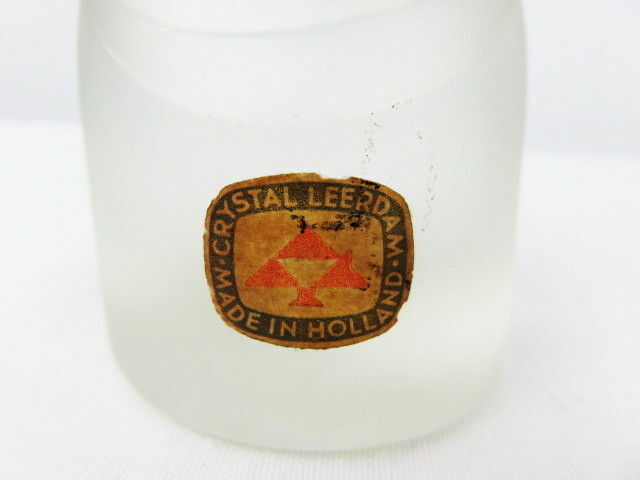 On the front, there is the original sticker of CRYSTAL LEERDAM MADE IN HOLLAND, and the official quality mark is featured on the back of the plinth. 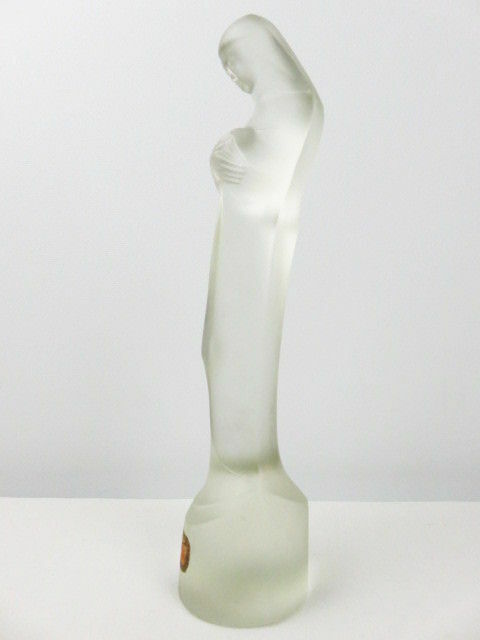 The figurine is in good condition, with only very small damage of 5 mm on the back (see photos). Note: a larger version of this figurine also exists. This is the smaller version! The proceeds of this lot go entirely to Oxfam Solidarity projects. Will be well packaged and sent by insured and registered mail by Bpost.